Just think about having No contacts in your phone. It makes me restless. I remember the days when we have to type each number and name to get all the contacts in our new phone. Some of my friends still asked for the same. 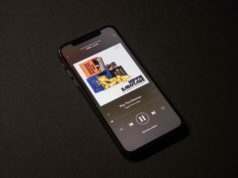 Whenever they switch to a new smartphone, the first question they ask what phone should they buy and then they switch to the question “How can I move my all the contacts, SMS and call logs to a new phone”. 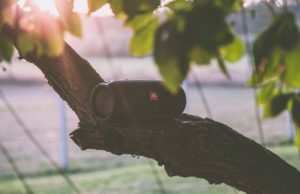 My answer to their first question is Go find the best phone that suits you here. For the second one, I wrote this blog post. So, today I am going to give you 2 methods through which you can create a backup of your contacts, SMS and call logs. 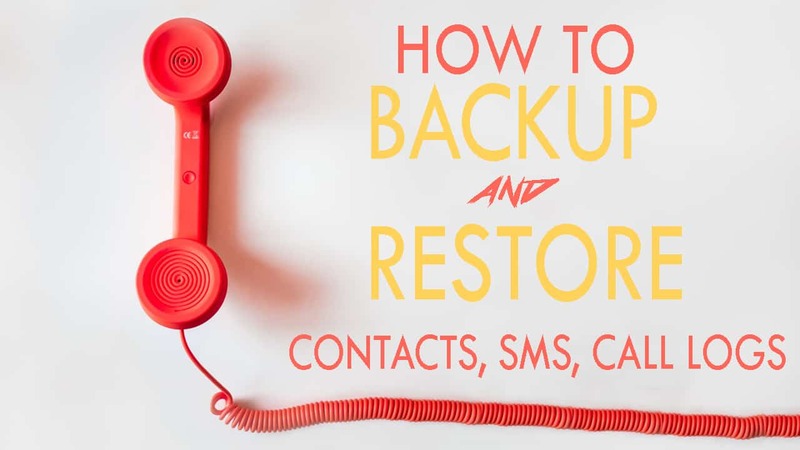 Not only backup but you can restore the same. Anytime, Anywhere. Before saying anything, I want to thank Mr. Google from the bottom of my heart for being available in every situation. 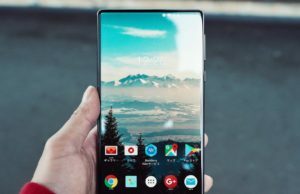 I also want to thank for Andy Rubin and his team for creating Android. I can write 5000+ words of an article just to thank Google. So, you remember the very first setup when we switch on the brand new Android Phone. It asks for language, wifi, location and asks to login to your Gmail account. Well, that’s not a formality. Google actually doing it for you. 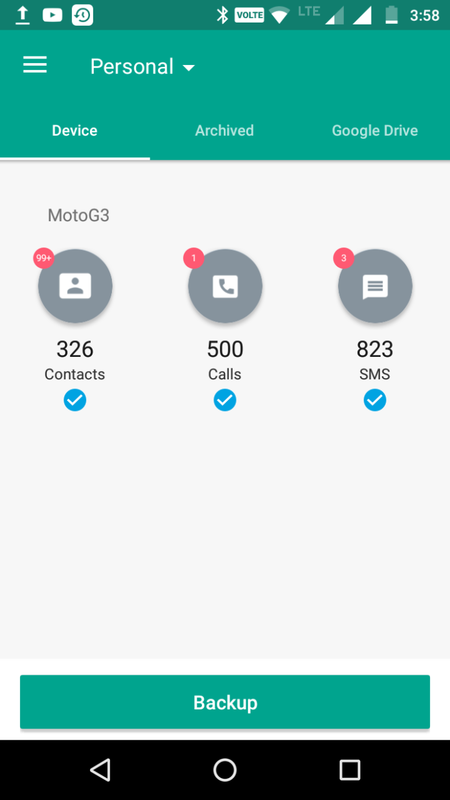 If you have an android phone which is stock android and have no bloatware then it’s fine but if you are using a phone having it’s own SMS and Contacts app. 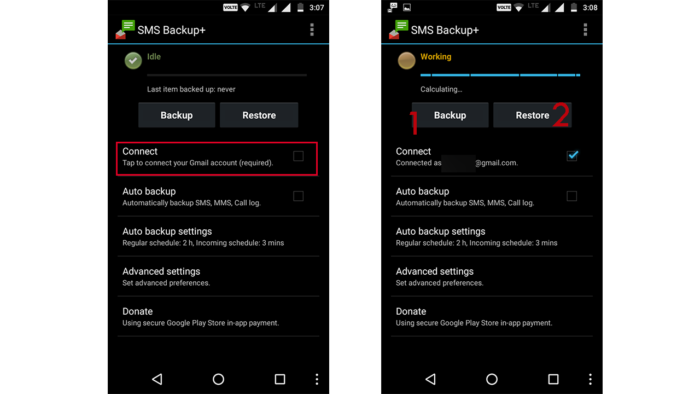 I would suggest you use Google’s SMS and Contact app for backup and restore purpose. Because Google has an awesome ecosystem which gives us a lot of features. But if you don’t want to, you can synchronize your contact on any Android device. Go to Contacts > Menu > Add account (if no Google account is added before). If there is already a google account associated with contacts, then make sure Auto Sync is switched on. 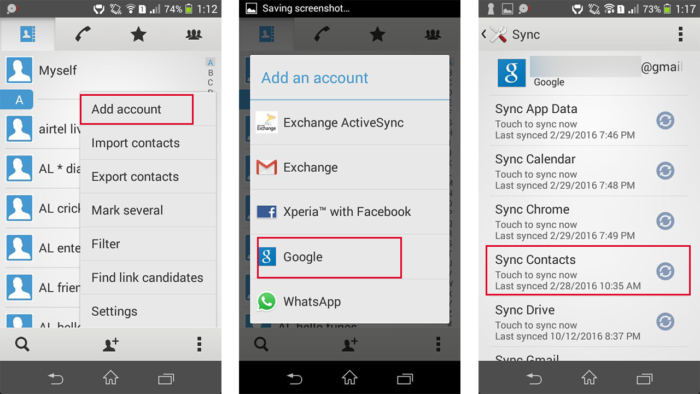 In Settings, tap on the Google in Accounts option then make sure sync is switched on. See your contacts on Google Account here. This is the best thing you can do for backing up your contacts. 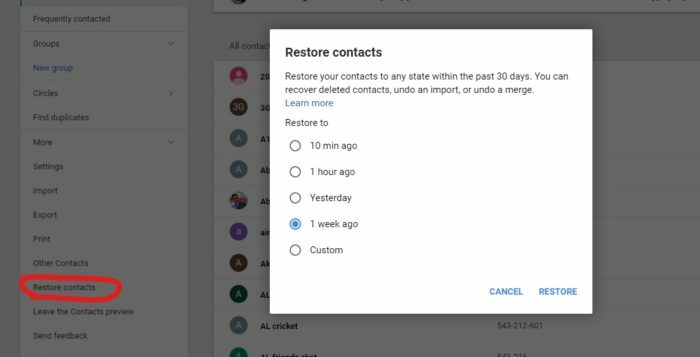 After connecting your contacts with Google, you have a couple of options to retrieve your contacts back. Here you can also retrieve your old number or the number you deleted by mistake. If you have duplicate contacts having the same name and different numbers, you can merge it using Google Contact. There are a couple of other functionality through which you can manage your contacts. 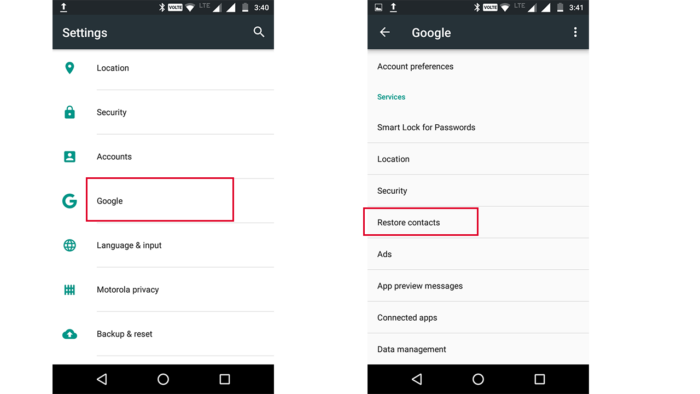 After syncing contacts with google account, restore the contacts by going to settings > Personal > Google. In Google, look for Services and then tap on Restore Contacts. 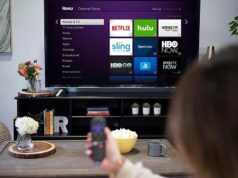 This method would not allow you to restore call logs and SMS. I have another method to backup and restore the Contacts as well as SMS and call logs. There are hundreds of contact backup apk that help in creating the backup and restoring the contacts, SMS and call log. But, the bad thing about these apps is they create a .vcf file of contacts that is saved in SD card or in phone memory. In case, a phone is damaged or get stolen. That file has no use for us. We cannot do anything in that situation. Today, I am going to tell you just 2 apps which do the perfect job of backup and restore. These apps automatically create a backup of contacts, call logs, and SMS and then save it on your Google Drive. Whenever you want to restore the data, just download that archive file from the Google Drive and restore. Don’t worry, I am going to explain How to create a backup and restore the contacts, call logs and SMS with photos. App backup & Restore is a free app available on Play Store. 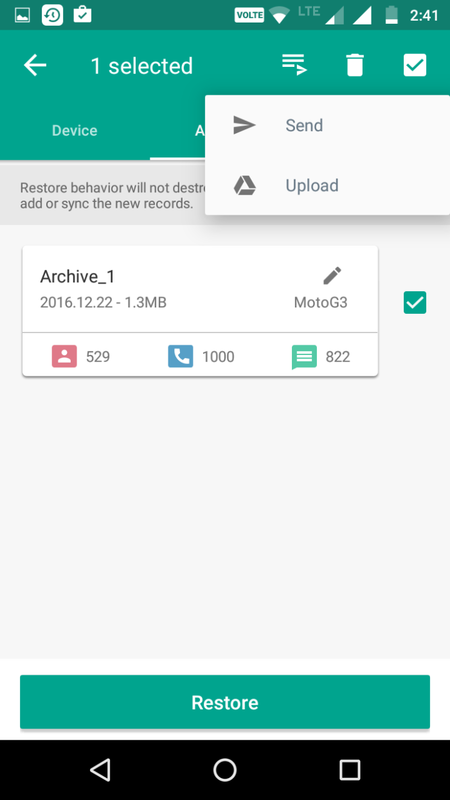 With this single app, you can backup your contacts, SMS, call logs and other apps straight into your google drive. You can also create the backup of apps on your SD card. Moreover, this single app is capable of sending and receiving an apk file using wifi direct (As we do on Share it, Xender, and Superbeam). So, How to create the backup of Contacts, SMS and call logs. Download App Backup and Restore. Open it. On home screen Swipe right and go to Settings then go to Google Drive Settings. 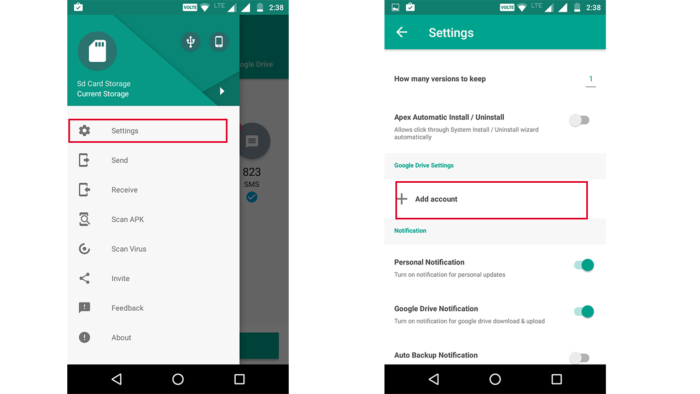 Add google account by tapping on Add Account button. On the home screen of apps, you would see a list of apps installed on your device. If you want to create a backup of any app, just tap on the app and then select Backup at the bottom. But, for backup of contacts and other personal data, tap on the Apps on the top and select Personal. Now, you would your personal data i.e your contacts, Calls, and SMS. Select three of them and tap on backup. Now swipe right and you would an archive file here. Select the archive file and then tap on Send button on the top. ( See picture) Tap on Upload. You would see your all the data uploaded on Google Drive. The data remains safe on the cloud and you can retrieve your data anytime, anywhere. The story doesn’t end here. Now, how to Restore the contacts and other data. Select the file you want to download. tap on download. Go to archive option and select the file. Then tap Restore. DONE!!! SMS backup+ is yet another popular app for backup and restore purpose. To do so, first, you need to connect your Gmail account and then just tap on the backup option. It would take a while when it gets done. You can restore it anytime. You can also select auto backup of the data. So, through these methods, you can create a backup of your contacts, SMS and call logs. 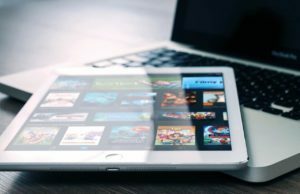 Among them, App backup and restore is the best option. 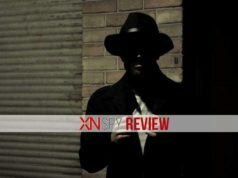 As it provides the functionality of backing up the apps as well as contacts, SMS, and call logs. So, Whenever you switch to a new phone, just install these apps and get your all the data on your new phone. I hope, this was helpful for you. If you know other better option, share your views in the comments. Share it with your friend or uncle who just switches to a new phone and struggling for old contacts and don’t forget to Share it on your social media.